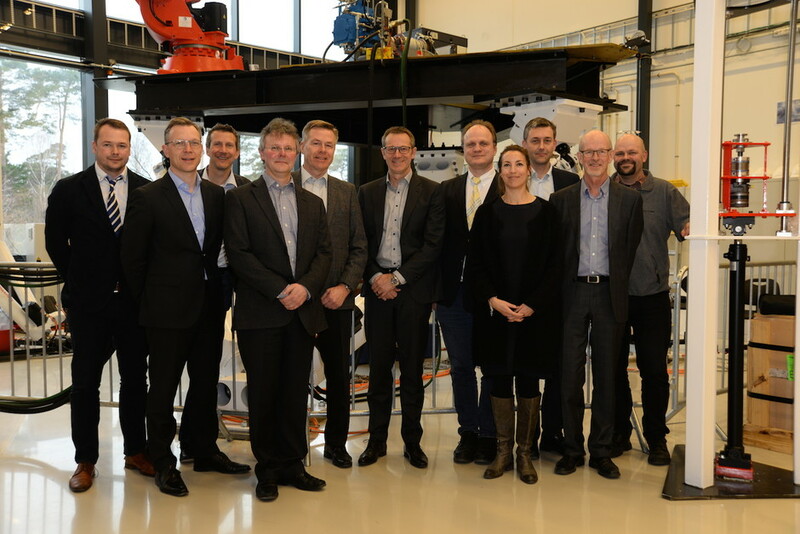 From Left: Thomas Meyer (Teknova), Mr. Jörg de la Motte (Senior Vice President Sales, Bosch Rexroth AG), Stephen Seiler (Vice-Rector Research, UiA), Lasse Schumann (Bosch Rexroth Norway), Arild Strand (General Manager, Bosch Rexroth Norway), Rolf Najork (Chairman of the executive board of Bosch Rexroth AG), Frank Reichert (Rector, UiA), Rachel Funderud Syrtveit (Administrative Manager, SFI), Geir Hovland (Centre Leader, SFI), Leif Haukom (Chairman of the Board, SFI) and Michael Rygaard Hansen (Dean of Engineering and Science, UiA). Bosch Rexroth formally joined the SFI Offshore Mechatronics centre today. The consortium agreement was signed by Arild Strand (General Manager, Bosch Rexroth Norway). For more information, see this link at www.uia.no. 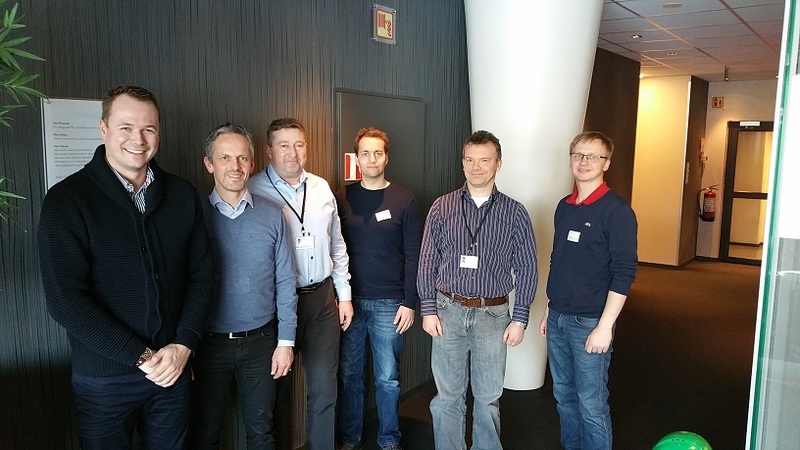 From the left to right : Thomas J.J. Meyer (Teknova), Hans Eirik Berge (DNVGL), Mads Arild Eidem (Bridon), Espen Oland (Teknova), Kurt Eide (DNVGL), Rune Schlanbush (Teknova). 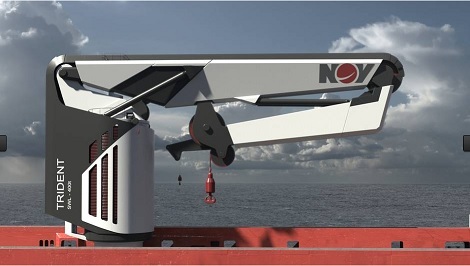 DNVGL provides services for testing steel and fibre ropes. 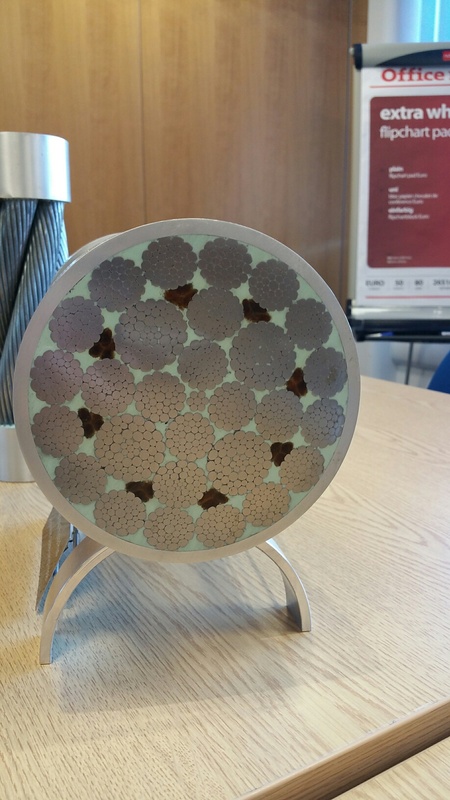 The visit to DNVGL was triggered by the potential opportunities in utilising DNVGL large diameter rope test equipment to validate the work performed under the SFI WP5. Topics such as: standards, best recommended practice, guidelines and potential integration of sensor technologies in the maintenance rope practice were discussed. A new Motion Reference Unit (MRU) has arrived for use in the Motion-Lab. The sensor package consists of a main unit and two satellites. These will be placed in the three corners of the large Stewart platform to estimate positions, velocities and accelerations in 6 degrees of freedom. 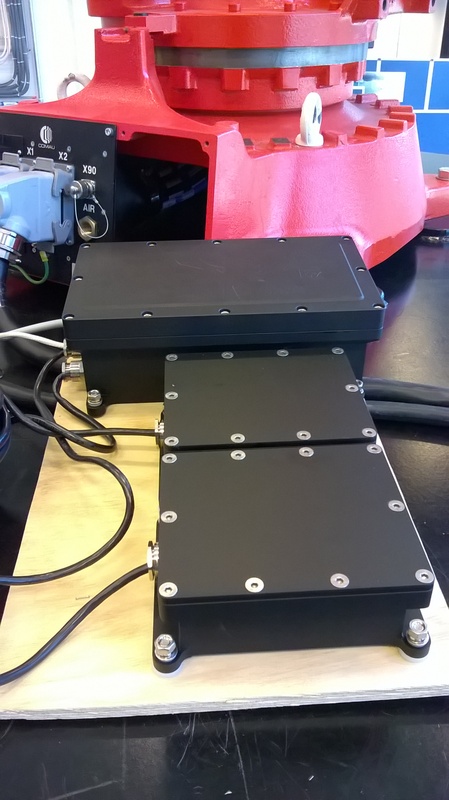 The data from this sensor package provide a more realistic set of measurements in an offshore environment compared to the reference signals from the Stewart platform’s controller. 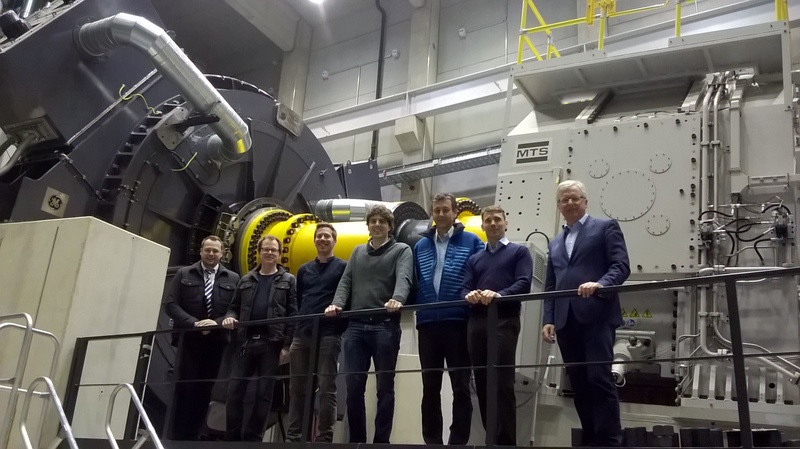 From Left: Thomas Meyer (Teknova), Felix Strassburger (IME), Achim Feldermann (IME), Matthias Reiter (IRT), Geir Hovland (UiA), Markus Buschmann (MacGregor) and Olav Egeland (NTNU) in front of 4MW motor at CWD, RWTH Aachen. A technical coordination meeting was held for WP2.6 and WP5.4 at February 24, 2016 at RWTH Aachen. The purpose of the meeting was to coordinate and align the research activities at the institutes IME and IRT more closely with the activities in Norway. 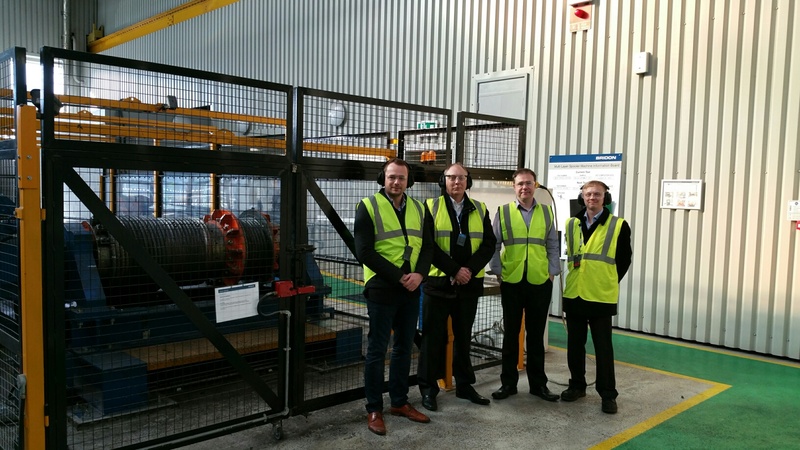 From the left to right : Dr. Thomas J.J. Meyer (Teknova), Paul Holland (Kluber Lubrication), Jason Wormald (Bridon) and Dr. Rune Schlanbush (Teknova) posing in front of the multi-layer rope spooling test. 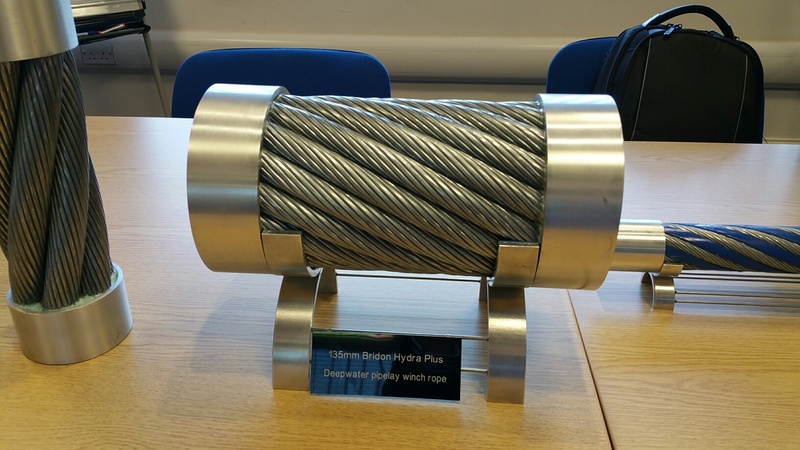 Bridon Technology Centre (BTC) is a world leading centre of excellence for rope technology development, analysis and verification. 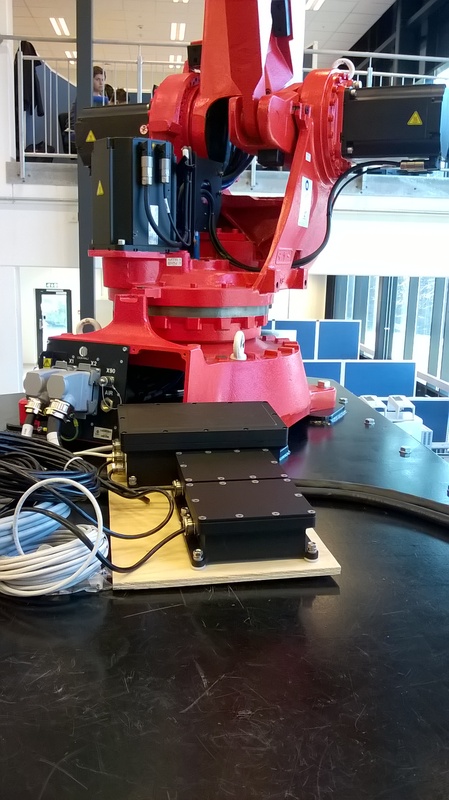 The visit to BTC was triggered by the potential opportunities in utilising Bridon large diameter rope test equipment to validate the work performed under the SFI WP5. 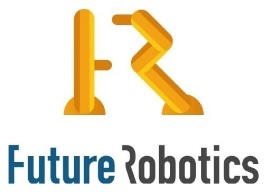 Topics such as: correlation in between downscaled test rigs using ropes 1cm diameter versus full sized test rigs using 15 cm diameter ropes and lubrification of strands were discussed. WP3.5: Design and Verification Methods for Hybrid Control Systems. 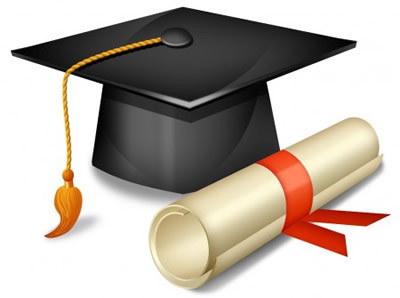 Application deadline 31.03.2016. See this YouTube video and this press release. See article in Teknisk Ukeblad (TU) about the NOV TRIDENT Fiber-Rope Crane (in Norwegian). 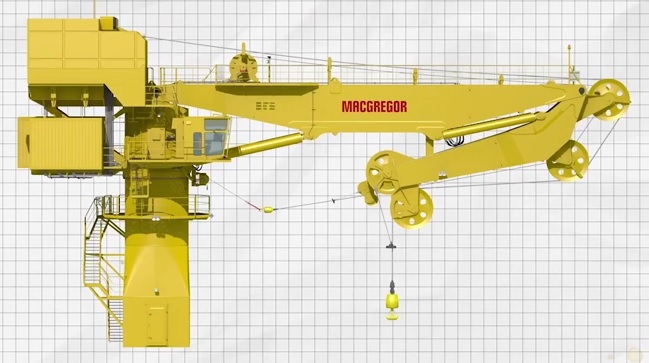 Fibre rope cranes compete with steelwire cranes, in particular in large water depths (1000-4000 metres).